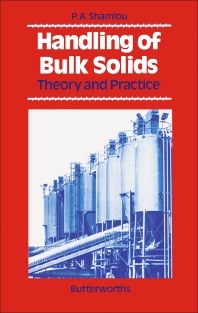 Handling of Bulk Solids provides a comprehensive discussion of the field of solids flow and handling in the process industries. Presentation of the subject follows classical lines of separate discussions for each topic, so each chapter is self-contained and can be read on its own. Topics discussed include bulk solids flow and handling properties; pressure profiles in bulk solids storage vessels; the design of storage silos for reliable discharge of bulk materials; gravity flow of particulate materials from storage vessels; pneumatic transportation of bulk solids; and the hazards of solid-materials handling and processing along with their prevention. Worked-out examples are included at the end of each chapter to familiarize the reader with the numerical manipulations and orders of magnitude of various parameters which occur in the subject of bulk solids handling. Because of the complicated form of most of the design equations involved, the computer is an ideal vehicle for the solution of many design problems in bulk solids handling. This book is suitable for advanced undergraduate and postgraduate levels as well as for practitioners in industry.